When Steve Jobs and musician John Mayer introduced GarageBand in 2004, no one realized what effect it would have on the music industry, and unless you’re in the industry now, you’ll likely be surprised when you read Amy Wang’s Rolling Stone profile. 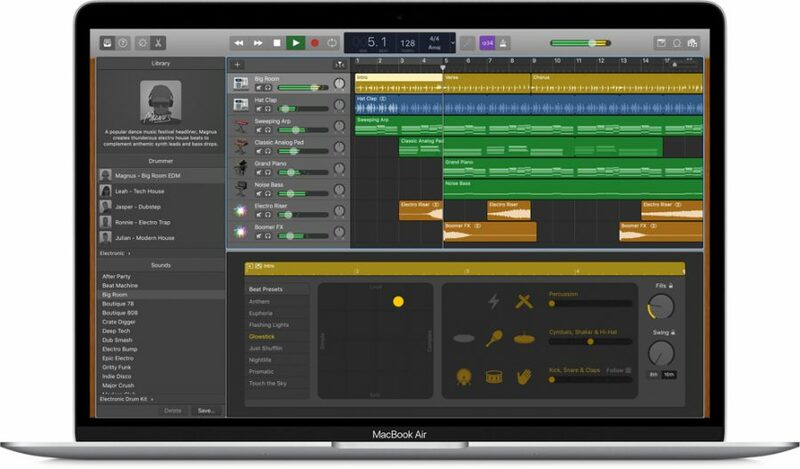 GarageBand isn’t just for amateurs—some of the artists who have used GarageBand in professional recordings include Duran Duran, Haim, Nine Inch Nails, Rihana, St. Vincent, T-Pain, and Usher. Some popular songs are nothing more than Apple’s included GarageBand loops with vocals laid down on top, and some people make a hobby of identifying GarageBand loops in songs. Of course, GarageBand lets even those with minimal musical talent compose songs quickly. We’ll leave the question of whether that’s a blessing or a curse as an exercise for the reader.